There is an unsettling paradox in the anthropology of religion. Modern understandings of “religion” emerged out of a specifically Western genealogy, and recognizing this, many anthropologists have become deeply suspicious of claims that such understandings can be applied with fidelity to premodern or non-Western contexts. And yet, archaeologists now write about “religion” and “ritual” with greater ease than ever, even though their deeply premodern and fully non-Western objects of study would seem to make the use of these concepts especially fraught. In this probing study, Severin Fowles challenges us to consider just what is at stake in archaeological reconstructions of an enchanted past. 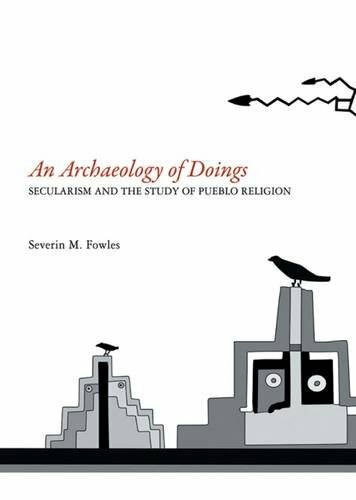 Focusing on the Ancestral Pueblo societies of the American Southwest, he provocatively argues that the Pueblos—prior to missionization—did not have a religion at all, but rather something else, something glossed in the indigenous vernacular as “doings.” Fowles then outlines a new archaeology of doings that takes us far beyond the familiar terrain of premodern religion.